Legend tells us it was Bacchus, the Roman god of wine & agriculture, who brought wine to the sun-soaked island of Sicily, once known as Sicalia. Regardless of its origins, wine has been made in Sicily for thousands of years. 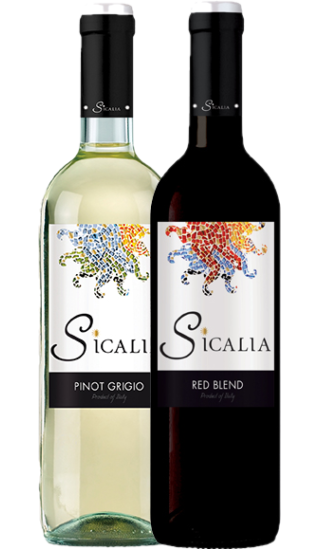 Sicalia honors Sicily’s long winemaking tradition, showcasing the full potential of the island’s classic Mediterranean climate, indigenous varietals and fertile volcanic soils. Mouth-filling. Aromas of black and red berries and dried fruits. Subtle chocolate notes. Decisive character displays the best characteristics of Pinot Grigio. Fresh, elegant taste.